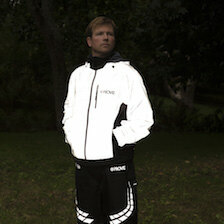 Proviz is an International Multi-Award Winning Sports Brand, distributed in 40 countries and sold online globally. The brand is renowned for innovation and quality and has the largest range of specialist enhanced visibility & reflective sports products on the market. It all started in 2008 in a small flat in London where two brothers were commuting to their corporate jobs. It was during their daily commutes by bike to work that they realised the limitations of the products they were using. 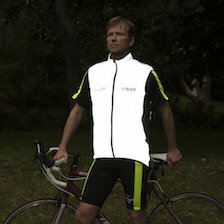 They identified a gap in the market to provide highly innovative, light-emitting and reflective cycling products. Inspired by their experiences (good and bad!) and with no prior retail or product manufacturing experience they designed five innovative cycling products. It took a lot of time and research to identify and engage the correct manufacturers but the founders had a desire to push innovation and product development in a niche area where they believed it was missing. The founders set about building a brand that would address this need, synonymous with innovation, performance and being highly effective. There was an opportunity to disrupt a market which was uninspired and most importantly, the desire was to create products that customers loved and that made a difference in their lives. The founders had to learn quickly. They soon became accustomed to working all hours of the day in order to co-ordinate manufacturers from around the world. Following positive feedback from independent testers and retailers the products were soon put in to manufacturing and the first distribution deal was agreed. 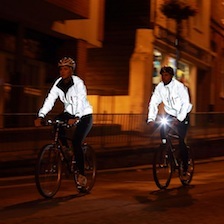 The first product that drew customers' attention to Proviz was the innovative Triviz Lighting Device, a unique versatile electroluminescent light pack which attaches to the Nightrider Collection products. The Triviz won a Red Dot Design award for Product Design which helped it gain recognition in key countries around the world. The brand has since picked up various awards including most recently in 2018 winning the highly prestigious Amazon Growing Business Award, the most credible and highly valued recognition of exceptional growing businesses in the UK and the Corporate Live Wire award for Innovation & Excellence. 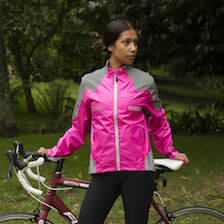 Proviz started with the Nightrider Collection followed by the Classic Collection which were well received by retailers and customers and started the Proviz journey. The launch of the REFLECT360 Collection in 2014 has been the most successful collection to date and put Proviz firmly on the domestic and global map. This totally unique range of products, made from 100% reflective material which is a modest grey during the day and highly reflective at night, caught consumers' imaginations with many retailers globally selling out due to incredible demand in the first autumn/winter season. The range received outstanding reviews from media around the world and the collection has continued to expand over the years. The Award-Winning REFLECT360 Cycling Jacket was featured at the highly prestigious Cycle Revolution Exhibition at the London Design Museum. The Switch and Pixelite Collections launched in July 2015 were designed as a result of this success and the Sportive Collection in 2018. As Proviz has grown the focus has been on creating specialist products that have specific purposes for whatever activity you are doing. The ever-increasing range has expanded to other sectors including the Running and Outdoor markets and the products are now distributed globally and sold in some of the world’s best-known retailers. This expansion has mainly been driven organically due to demand and customer requests and it is amazing to now see Olympians and celebrities wearing the products. With the increased exposure Proviz has received, one of the world’s largest companies approached Proviz to provide bespoke own-brand products for them. Resulting from this order Proviz Bespoke was created and we have now worked with many brands and organisations across many industries all over the world. Proviz now operates websites in UK, USA, Australia and Germany which are able to offer the products to customers on a global scale with multiple warehouses enabling customers are able to receive their orders quickly and efficiently. With the two founders being avid sports fanatics they know just how important fit, quality and price are when buying products. The ethos and integrity that they placed on the brand is as important now as it was in 2008, and that is to provide ‘best in class’ products that are high quality, innovative, unique and highly effective so users feel empowered but also comfortable wearing them. One of the aspects the founders are most proud of is seeing the places the products go and hearing the stories that go with them. Proviz are also keen to make a charitable difference and with our online sales we support World Bicycle Relief, where Proviz match all donations to this wonderful charity and customers can select this on checkout. Our brand message #defythedarkness was as the result of a large branding project with a leading branding consultancy, underlying our key messaging and values as a business. This was a huge step change for the business with it being a global brand. Empowerment : We make products that enable people to do more, and to go further, with greater confidence. Being physically safer and feeling more secure can be a strong sensation, almost like you overcame something. Now you feel you can do more. Engagement & Inclusion : Our brand was founded on product innovation, based on observation of peoples’ lives outdoors. If you take your outdoor sports seriously, we have products to support your performance. But Proviz is for everyone who wants to be outdoors, whatever your activity level. Dynamic & Always-On : We will look out for new opportunities 24/7, work hard to understand our markets, always be open to talk to customers and listen to ideas. An active brand, Proviz has bags of energy and will always have something new to show. Solidity : In everything we do, we will aim for the highest standards of product quality, customer service and responsiveness to both buyers and partners. We are an ambitious, growing business that aims to be here for the long run. 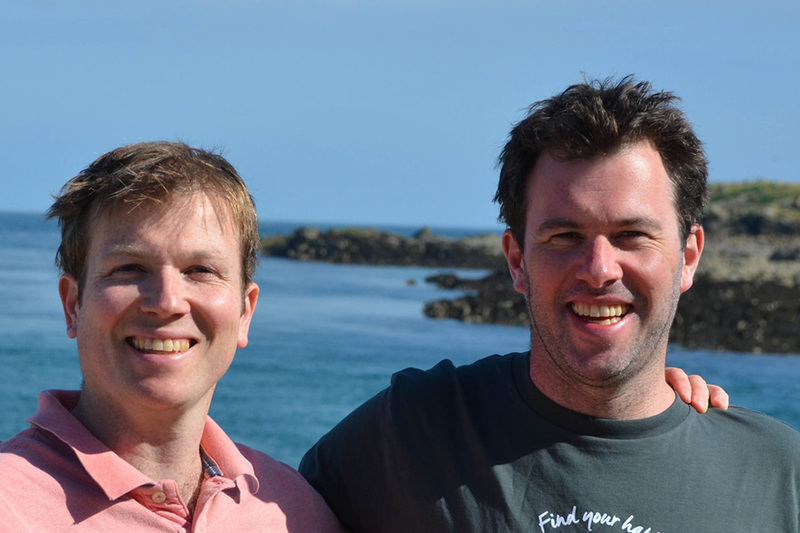 Proviz is driven by the co-founders' passion for the brand which filters through to the rest of the Proviz team. The journey to date has been incredibly exciting and there are many more products and ideas to come. There is nothing more the team love to receive than a video, photo or email from a customer expressing their satisfaction or having fun demonstrating their Proviz product to their friends on social media. The same desire to empower customers with these products and make a postive difference in people's lives is an important now as it was in the beginning.